Legal adviser, PhD student at the Department of Civil Procedure at the University of Lodz. 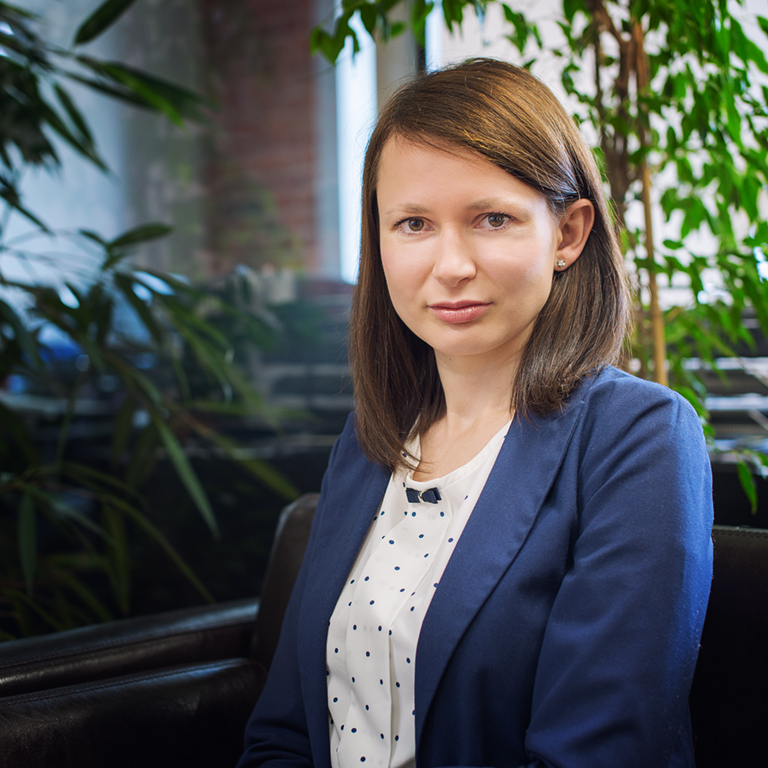 She graduated with a degree in law from the Faculty of Law and Administration at the University of Lodz specializing in civil law and with a degree in administration from the Faculty of Law and Administration at the University of Lodz specializing in Economic Administration. During her university career she provided legal aid for indigent persons as a participant of the Law Clinic at the University of Lodz Law School and participated in Street Law – legal education program for high school students “I know my rights”. She gained her legal experience in law offices in Lodz. She has also worked in Publishing House C.H. Beck in Warsaw. The author of publications in the field of civil procedure. Her areas of expertise are: civil law, civil procedure, economic law and administrative law.